East of Havana at F.I.U. 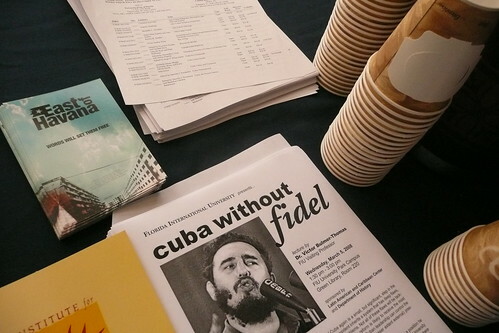 Back in February (the week Fidel Castro retired), I was invited to screen my documentary, East of Havana, at a Florida college and speak to some students on the state of affairs for Cuba today. By no means am I an expert. 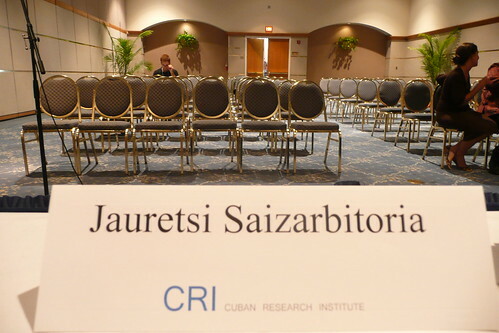 On the contrary, it seems that when you try to answer something on Cuba, it tends to beget more questions. We just traveled down to Cuba in early 2000-2004 and followed an intellectual youth movement through the vehicle of a rebellious hip hop scene. No bling. No gangster rap. Great poetry. Sony/BMG bought the film, so hopefully you’ll see it out on DVD soon. It is slated to play on the Sundance Film channel this summer. In general, I found that Miami is now at least divided on the topic (roughly 50% split on opening the travel ban), which is different than the city’s usual monolithic right-wing approach on how to handle this transition. In short, the younger generation (on both sides of the Florida straits) are growing up, and are ready for a new line of dialogue to restore relations. All the documentation I saw at the University was pretty balanced and healthy coverage on the island today (a switch from the bitter and biased tone I witnessed growing up in Miami). 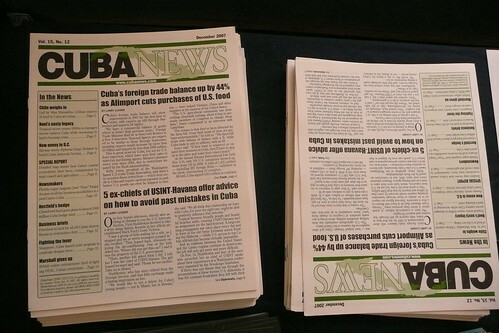 In the same vein, the last 3 weeks in Cuba have been groundbreaking with talks of further “reforms”. Their economy is still a 2-tiered mess, and they need to address several human rights issues, but Raul Castro seems to be pacing himself and claiming to tackle these issues. For whatever reason, the government is loosening “the valve” on the people down there (i.e. Cubans can now walk into local hotels. Cubans can now own cell phones). These are all tiny steps, but small reforms are better than no reforms. If you’re curious about “word on the street” in Cuba today, read both posts on Yoani and Eliécer, 2 ballsy young Cubans stirring the pot down there. Our new American president will play a major factor in determining the dismantling of this stubborn American Embargo. Read both Obama and Hilary’s stance on Cuba here. Watch out November 08!